Someone wise said to live is to love. You gotta love what you do. That’s why we crochet. Now, one of the lessons that we have learned through life is that love hurts. So, you either face it and deal with it, or you try to prevent it. 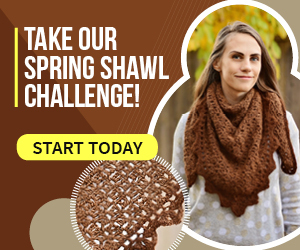 We are aware of the fact that many of you crochet up to the point where they really can’t anymore. When the pain becomes too strong, and your thumbs fail. 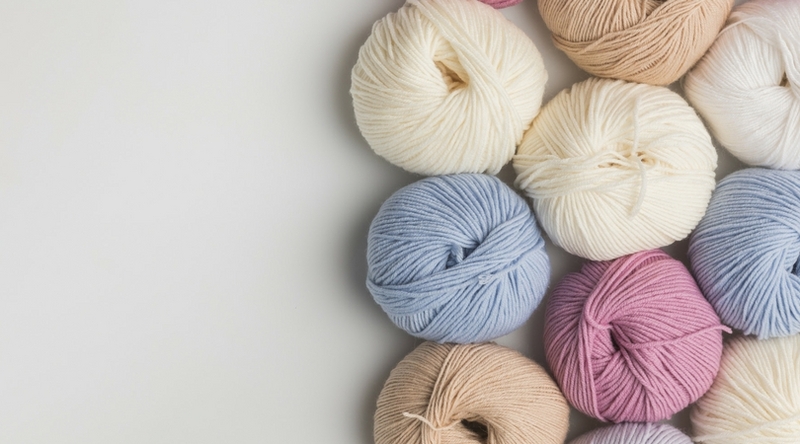 This doesn’t mean that the person has to stop crocheting; it just means that adaptations may need to be made for reducing the pain of repetitive stress. This is a simple hack that will make your life easier if you are facing this terrible pain that can sometimes be so annoying, not allowing you to finish your projects. 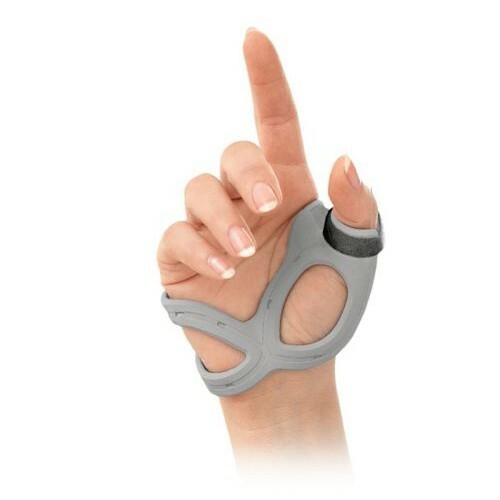 Thumb stabilizer will help aching, sore and weak thumbs and provide moderate-stabilizing support, as well as provide stability to your lower thumb joints. Get the one that doesn’t limit finger or wrist movement. Exactly what you needed right? *Note: It is a bit pricey, however, it is the best one we found. 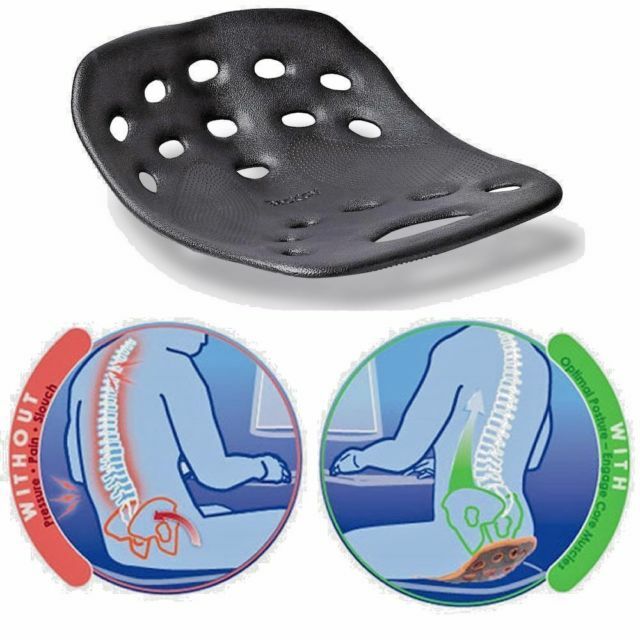 Is a sitting device that naturally relieves back pain by optimizing your sitting posture. Its patented design works by tilting your hips upright and comfortably “floating” your spine over the seat. Its portable and lightweight design works in any seat, while durable materials provide long-term use. 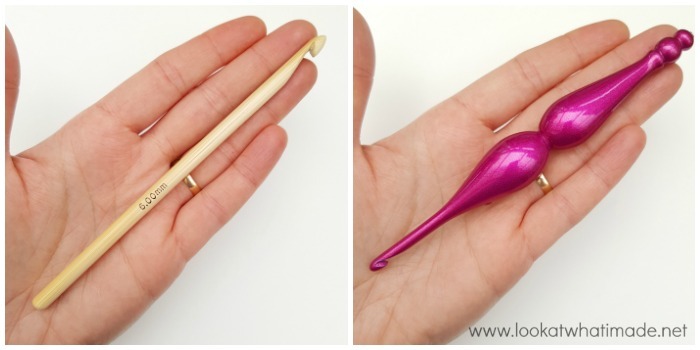 We firmly believe that the one who invented this was a crochet lover himself and decided to make our lives easier. 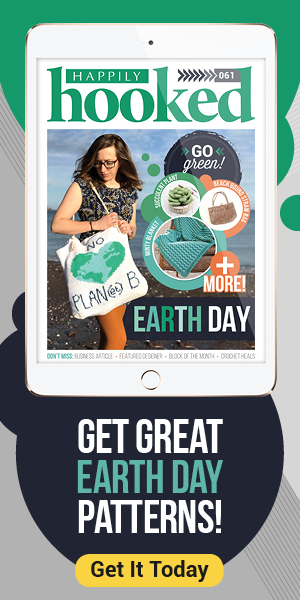 Great things about it: It’s thin, lightweight and portable so you can take it with you anywhere – PLUS – You can place it on any hard or soft seat including a couch, office chair or car seat. You can get your very own here! 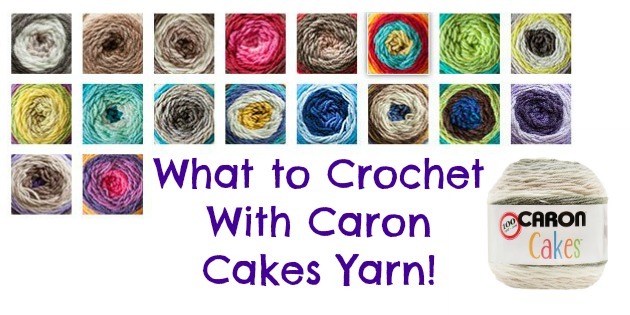 Before you begin crocheting – stretch. Do this in the breaks as well. And do this once you are done for the day. Don’t underestimate the importance of stretching. If your question is: okay, what should I do now? – Try to start with just rolling your wrists around, spreading your fingers like a starfish, spreading then making a pinching motion several times, or even shaking your hands out to get the blood flowing. Of course, there is also the traditional fist motion and release, where you gently curl your fingers into a ball and squeeze with your thumb before letting go and stretching your fingers back out again. These do not require a lot of space or time. It will take you up to 10 minutes, depending on how fast you do it. 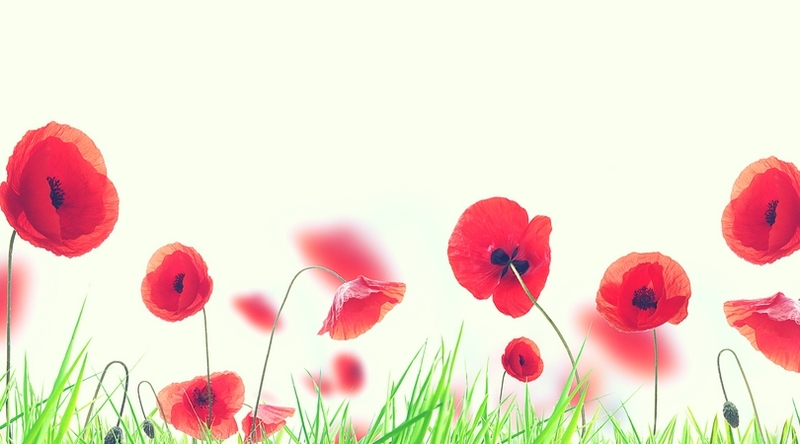 Once you have covered your hands, move on to your body. Yes, your body, you read this right. Stretch your whole body, especially your shoulders and back. Just because the pain is in your hands doesn’t mean that the rest of your muscles aren’t contributing to a general feeling of discomfort. Rotating your head around like it is on a swivel, rolling your shoulders, and linking your hands and stretching them out in front of you are all great ways to relieve tension from staying in the same spot for too long. Our recommendation: take your time and stretch properly. 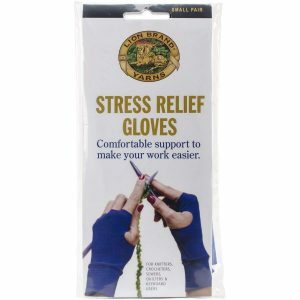 Wearing stress relief gloves allows the muscles of your hand to relax while you work. Gloves that have been specially designed with crafters in mind, so they are entirely fingerless and stand up to long-term use. These gloves are designed to reduce pain and swelling and improve your hand function. You can get a pair of your own here. Found this helpful? Let us know what you think!